Fluo is a visual programming environment built on Pharo. Fluo has following three features. Fluo is a graph based programming system connecting nodes with arcs. 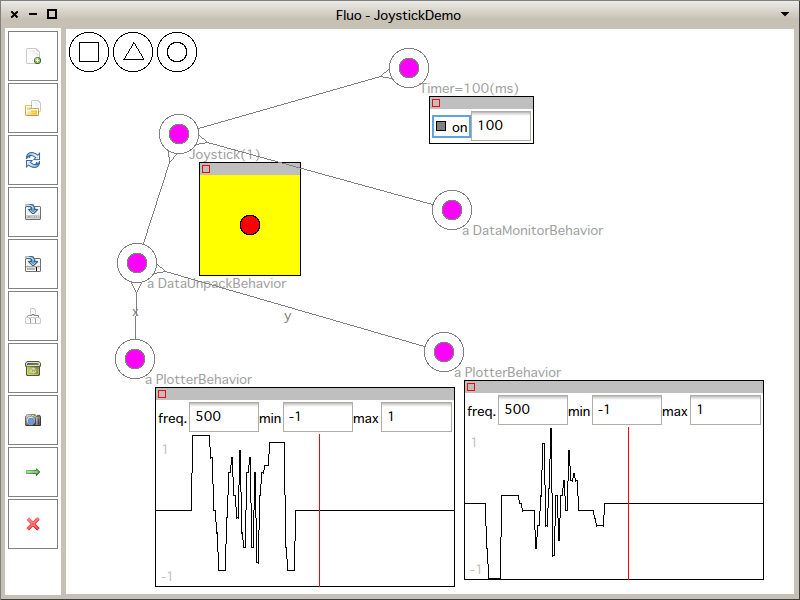 Fluo is based on flow based programming model, data flows between nodes connected by arcs. Fluo has high affinity with Smalltalk development tools of Pharo. Programs of Fluo are (directed) graph built on nodes connected with arcs. Fluo has three kinds of nodes: proxies, topics and behaviors. Proxies are nodes that communicate external system. Also Fluo has two kinds of arcs: named arcs and no-named arcs. ifTrue: [ ^ self ].